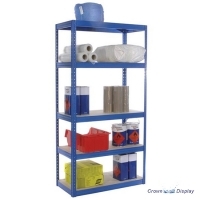 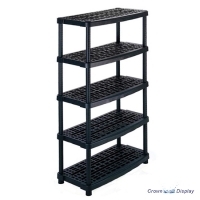 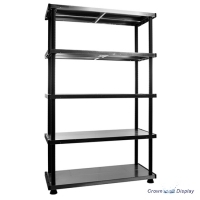 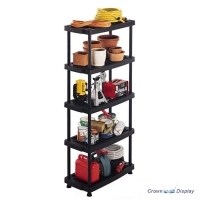 This neat little black plastic shelving unit is perfect for pop-up shops, exhibitions, garages, and sheds. 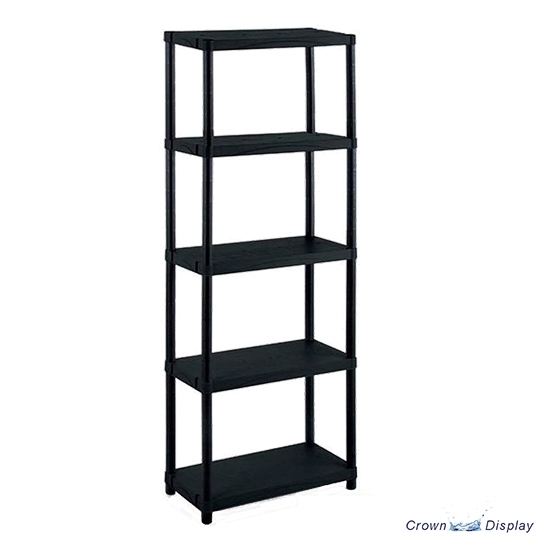 It's cost-effective and can be assembled in minutes, has 5 solid shelves and each shelf has a maximum weight bearing of 50kg. 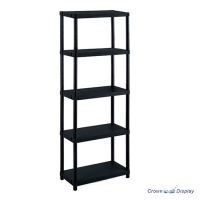 It measures 1000mm wide x 500mm deep x 1880mm high.